President Barack Obama’s idiolect has a phonetic feature that hasn’t been noticed in the public press, viz. the non-standard pronunciation of the verb congratulate and its derived verbal noun congratulation(s) with a “voiced” [ǯ] for standard “voiceless” [č] corresponding to the intervocalic letter t. (One heard it yet again today [May 17, 2009] in his commencement address at the University of Notre Dame.) This is actually a fairly widespread (mis)pronunciation. In effect, this is the process by which intervocalic fricatives (hissing and hushing sounds) that are “voiceless” in other positions are rendered with their “voiced” counterparts between vowels; thus the well-known pronunciation of greasy in Southern American dialects as grea[z]y. There is an explanation, but it’s one that necessitates disabusing oneself of the established characterization of English as a language with distinctive “voicing” in its obstruent (= true consonant) system and facing the fact that English (like German and Serbo-Croatian, for example––or Japanese, for that matter, pace the conventional view––and unlike Russian) is rather a language with distinctive “protensity,” i.e., with the opposition tense vs. lax. Thus the series p, t, k, etc. is to be understood as being opposed to the series b, d, g, etc. as tense vs. lax. Noted in an earlier post was the fact of the neutralization of phonological distinctions in so-called positions of neutralization, whereby only one of the opposed terms appears in such positions and “represents” the opposition. Here, the obstruent that occurs between vowels is in just such a position, and the representative of the opposition between [č]and [ǯ]––the very one that distinguishes between, say, batch and badge––is what is conventionally called the “voiced” one, i.e., the latter. But calling it “voiced” is wrong phonologically, no matter how right it is phonetically, for the following reason. The most universal realization of an opposition in a position of neutralization––in phonology as in all of grammar––is the so-called “unmarked” member of the opposition, which is defined as the relatively general or unconstrained member, its “marked” counterpart being relatively specific or constrained for the feature at stake. One could say that positions of neutralization are diagnostic––for native learner and analyst alike––in that they conduce to the evaluative designation of members of oppositions in terms of markedness, a designation that imparts sense to form and without which phonology and grammar would cease to be a coherent structure. As a general matter, in languages with distinctive voicing in their obstruent system, the marked member of the opposition is the voiced (lenis) member, and the voiceless (fortis) member is unmarked. Contrariwise, in languages with distinctive protensity, it is the tense (fortis) member that is marked and the lax (lenis) one that is unmarked. Consequently, those speakers who, like President Obama, have a lenited obstruent in congratulations, where the norm has its unlenited counterpart, are (unwittingly, of course) simply realizing the natural drift inherent in the sign function of all positions of neutralization by pronouncing the unmarked lenis sound for t. It just so happens that the norm in this case overrides the drift, but some speakers (probably from childhood) are nonetheless impelled by what the Germans call Systemzwang (“the systemic force”) to innovate in their individual grammars along lines that have the inherent potential of becoming the norm in the long run. Even in this minute respect, one could say that the new president is only being true to himself as an adherent of the innovating variety of contemporary American English. For some time now in American English, there has been a strong tendency to replace the traditional complement––here a postposition––after the verb head, namely for, by the formerly non-normative to, resulting in a contemporary vacillation between the two constructions. This variation can be used to illustrate many aspects of the entire process of change, each of which merits separate treatment. Leaving aside all but the raison d’être, we can first compare the meanings of the alternating postpositions. 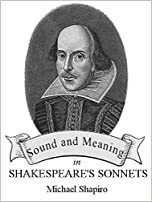 To generally means ‘in the direction of’ something after verbs of motion, as in the prototypical go to, without, however, precluding the attainment of the goal of the verb. Hence, in a command to a child such as go to your mother, both the directional and the telic meanings are present: going involves both starting out in some direction and having a possible goal, although reaching that goal may not be explicit (as it is in go to school, to work, etc.). For after verbs of motion reverses the hierarchical relationship between directionality and telicity: in a colloquial American expression such as go for it, the directional aspect of for is completely subordinated by the meaning of attaining a goal. In head for the telic aspect also predominates: the phrase not only means setting out in a certain direction (which is presupposed) but makes the attainment of a goal its primary content. It is in this respect that the phrase differs from head toward: the meaning of toward is essentially the same as that of to when they function as verbal complements. The difference is rendered explicit when the object is a quintessentially directional substantive, as with a compass point. Hence the contrast between head for the hills and head toward the east, with *head for the east being unidiomatic (cf. the complement-less head east). From the point of view of linguistic structure, one might infer from the foregoing analysis that there is something about the semantics of the two postpositions that is at stake, specifically a difference of rank in the semantic syntagms associated with each of them. An analysis that trades in competing semantic hierarchies may not seem to constitute an explanation of the change from one syntactic pattern to another, but this is not strictly so. The nature of grammar is such that what appears in speech or is expressed can always be traced to underlying grammatical relations, which are semantic in their essence, as its cause. But in the syntactic change discussed above, one unsatisfied with this type of intrinsic explanation might wish to speculate about causes inherent in the larger communicative situation. Although hard evidence is unavailable, perhaps the change has its transcendent explanation in the larger tendency within contemporary American culture to neutralize social hierarchies, i.e., to scant hypotaxis in favor of parataxis. With the encompassing social structure and its flux as a reference point, the change in grammar would find its place as a piece of worldmaking. This kind of explanation may be extrinsic to grammar proper, but there is also no gainsaying that syntax connects with reality in just this sort of way. In the change at hand, to repeat, we would seem to have a leveling of hierarchy––parataxis triumphing over hypotaxis. The constituents being leveled in meaning are the two complements in conjunction with the two derived (figurative) meanings of head. Head participates with for in creating a compound meaning involving telicity by imparting its meaning/function as the locus of cogitation (thought, planning) to the phrase. When head combines with to, however, its contribution to the compound is limited to the aspect of directionality: setting out in a certain direction means having the “head” go first. This is very much the sort of doggerel––intended here as a caricature––that is blithely passed off in all seriousness as “poetry” in the English-speaking world (cf. The Writer’s Almanac, a particularly rebarbative offender). What no hip-hop “artist,” singer-songwriter, or jingle writer would put out as “lyrics” is routinely spooned up in Anglo-American poetry books and magazines as verse. And the reading public swallows it! All plans are laid on tables in her mind. And wispy hair is blown back by the wind. Although the past will never really die. It towers high above the rippling sea. Soon swirling eddies down it by degrees. Now with the somber shoreline becomes one. Only where there is craft is there art. Change in linguistic usage can be motivated by a variety of factors, including a concomitant change in ideology or value system. With respect to the latter, the ubiquitous contemporary American substitution of the word issue for problem is a good case in point. The increasing tendency to avoid problem in favor of issue is a sign of an ideological change in values whereby nothing is judged to be inherently problematic or in need of correction on its face. So is the frequent recurrence in public discourse to the word challenge instead of problem. In this attitude that underlies the word usage, everything pertaining to the social or personal sphere is potentially unproblematic and automatically amenable to repair in the long run, hence one encounters only challenges rather than problems. Consequently, for instance, there are no longer any health problems, only health issues, and one has issues, not problems. Fortunately, this delusionary forma mentis––a failure of thought––cannot intrude into the mathematical sciences, since such obfuscation is systematically rooted out as the enemy of clarity, hence of solubility and, ultimately, of truth. I had taken my shirt and jacket off in expectation of having the sutures removed from my back. There was a knock on the door, and a young woman of the usual plumpish bespectacled type wearing a white smock entered and introduced herself as a fourth-year medical student. We shook hands. She glanced at my file and announced that the result of the biopsy was negative: the tissue sample they had taken two weeks before was benign. When I inquired about the abrasion on my right cheek that had impelled me to visit the dermatology clinic in the first place, she informed me that it was a lentigo, which she mispronounced with stress on the first syllable. I realized, of course, on the model of impetigo, known to me through acquaintance with my grandchildren’s occasional skin problems, that the stress was on the penult and that it rhymed with Sligo, which I had visited once upon a time. “The team will be in shortly,” added the fourth-year medical student and exited the roomicule. I was left to cool my heels shirtless, in the usual fashion of such momenta medica. Soon there was another knock on the door, and a woman doctor, a resident who had originally taken the biopsy and sutured the wound, entered, likewise dressed in a white smock, followed by the fourth-year medical student and two male doctors in civvies. This was evidently the aforementioned “team,” and they were making their rounds. Having taken up positions behind me, they all inspected my back simultaneously. The woman doctor looked cursorily at the file and confirmed the original diagnosis. Then she announced that the “team” would go out to confer about what they had observed. “This is what they used to call a consilium,” I remarked to the fourth-year medical student, who was bringing up the rear as the group exited. That flotsam of Russian vocabulary had suddenly swum up into my cortex and produced the Latin term. Her opaque smile signaled total incomprehension. “The lentigo,” she said, repeating the incorrect initial stress, “is probably the cumulative result of exposure to the sun.” “I see,” said I. She then deftly removed my sutures. “Would you object if I took a photograph of your back?,” asked the dermatologist. “I’d like to have it for the record and to show my colleagues.” “No, I wouldn’t object,” I answered, whereupon she took out a digital camera and snapped it. I saw the flash out of the corner of my eye. Exeunt the two female medicos. Putting my shirt and jacket back on, I exited the clinic and entered the hall with its quaternion of elevators. One of the male doctors who had examined me, a youngish man in a sports coat, sporting the right sort of Hollywoodian chevelure, entered the elevator with me. “It was like a scene out of Molière,” I said, smiling. Of course, I had misremembered L’Amour Médecin, with its squadron of doctors, conflating it with Le Malade Imaginaire, where a doctor explains that opium is a soporific due to its virtus dormitiva (‘dormitive virtue’). Molière’s doctor was subsequently made the target of derision in the philosophy of science as the utterer of a fallacy but was defended by my hero Charles Peirce, who pointed out the pragmatistic validity of his definition. My memory of Peirce’s discussion had doubtless conjured up the allusion to Molière. The doctor said nothing. His look of total incomprehension as we descended punctured the afflatus I was feeling at my literary mot juste. My shoulders slumped. We both got off the elevator on the ground floor and walked toward the exit. All linguistic variety, including social and dialectal differentiation within a given language, is necessarily the product of historical changes, some of which are still in progress at a given point in that language’s development. Members of a speech community use such innovations to signal a variety of messages, such as “stronger meaning,” “group solidarity,” “greater intimacy,” or their opposites. Innovations can be motivated not only by strictly linguistic reasons but by systems of values that also apply to aspects of human behavior beyond speech. Particularly frequent in present-day American English are spontaneous grammatical innovations that redundantly repeat, duplicate, or extend elements of their traditional normative counterparts without any apparent gain in communicative content. Pleonasm is the most familiar category of such hypertrophic forms––the medical analogy is completely apposite here and is deployed advisedly––some of which have in fact become part of the norm. A rational explication of such changes rests on the key assumption that any novel expression, apart from the content invested in it by grammar and pragmatics, has a specific value––or connotative content––by virtue of being different from a traditional expression with the same grammatical and pragmatic content. But in a more abstract sense such changes are ultimately to be explained as instantiations of broader cultural and ideological values. When one speaks of values as a determinant of linguistic changes, many small examples come to mind, for instance (1) informant vs. informer, where the older and traditional second variant is being replaced by the first. Note that the two suffixes differ in length, and that the newer variant displays the longer of the two. This means that the older variant, informer, has taken on a pejorative value and hence is to be avoided. Another common switch in values accounts for the replacement of the traditional treatment of class designations as inanimate, when referring to them with the relative pronouns who and what, with a focus on their human membership, resulting in the occurrence of who rather than which, as in (3) companies who vs. companies which; cf. “The computer who tracks the standings . . .” (John Feinstein, sports commentator, N[ational] P[ublic] R[adio], “M[orning] E[dition],” 11/30/07). This is paralleled by the difference in grammatical number between British and American English when referring to mass nouns, as in (4) the family/cabinet are vs. the family/cabinet is. the attitude of the speaker towards the content of each utterance dictates the choice of words. The very serious matter of confirmation hearings for a nominee to the Supreme Court of the United States is being treated as if it were merely an entertainment or show business (“marquee issues”), as is the terrible strife resulting in numerous deaths in the Middle East (“get equal billing”). In the last of this triplet of examples, there has been a subtle shift in the way the airline personnel regard their human cargo: instead of focusing on their status as “passengers,” they are now addressed as producers of revenue (“customers”). The last example is particularly revealing because the speaker doesn’t realize that the locution depends on a transparent container––glass––but for which no liquid could be observed to be measured. The almost de rigueur contemporary insertion of back before temporal expressions headed by such words as in and when is an innovation in American English (and perhaps in British as well) and an instance of hypertrophy when the time referred to is relatively proximate, not distal. (47) “Kissinger and Putin met at Putin’s country dacha.” (Daniel Schorr, commentator, NPR, “All Things Considered,” 6/7/06); cf. “shrimp scampi,” “PIN number,” etc. (50) absolutely (51) great, tremendous, terrific, awesome, etc. (52) “There’s a real world out here where people are offered . . .” (Ruth Lewin Sime, letter to the editor, NYT, 6/5/06, p. A22). The use of the adverbial phrase out there is particularly interesting because it betokens some sort of “avoidance of placeless existence,” if one may call it that. One could easily think that some of these hypertrophies arise from a need to be explicit, to repeat for emphasis, but a close analysis reveals that this is not so. They are all examples of redundancy and tautology. Pleonasms always exhibit a broadening of boundaries, and it is undoubtedly true that boundaries are among the most unstable of linguistic entities, more liable to shift (metanalysis) over time than other such units. But a stereoscopic view of the entire variety of cases where an enlargement has occurred reveals what is at bottom a failure of thought in a “culture of excess.” Linguistic hypertrophy may, in the final analysis, be particularly true of the grammars of historically marginalized groups in society, for whom literacy and education have only recently become as common as among the traditional elites. It would be tempting to speculate that pleonasm and other hypertrophies in speech and writing are––in their aspect of characteristically displaced boundaries––a linguistic manifestation of an unstable social identity.